We Buy Inherited Houses and Homes in Probate! Have you inherited a house you don't want in Dallas Fort Worth or surrounding area? We Buy Inherited Houses and Houses in probate! TMC Property Solutions Can Help! Give Me A Fair "All-Cash" Offer And Send My FREE Report NOW! See How Much We Can Pay For Your House By Clicking HERE! Selling a house in probate as part of an estate doesn't have to be difficult or stressful. We are local house buyers that specialize in buying inherited houses in Dallas Fort Worth and surrounding cities and that you don't want, that may or may not have gone thru the probate process. Selling a house in probate as part of aninheritance doesn't have to be stressful and we can help. This article I just wrote on the Probate process will be helpful and of interest to you. We'll explain the process, come view the home, answer your questions, make you a fast and fair offer, and we can close within a few days, you don't have to clean it out, and you never pay closing costs or commissions when you sell your home in probate to us. Sell Your Inherited House "As-Is" and close within days. Let us help you get past this difficult time! We make these transactions smooth and fast so you can get on with life. 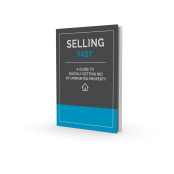 By submitting your info above, you will receive your fair "cash-offer" and you'll receive our free report "SELLING FAST: A Guide To Quickly Getting Rid of Unwanted Property", which has 7 tips for selling your unwanted property quickly. TMC Property Solutions - DFW's Premier HouseBuyer! We're a Veteran owned and operated real estate investment company, buying inherited houses that you don't want or have time for, that may or may not have been thru the probate process. Selling a house in probate as part of an estate doesn't have to be stressful and we work hard to make the sale of your property smooth and fast. We Buy Inherited Property and, Probate Property "As-Is" and can close within days. We are excited to potentially work with you directly OR if you are represented by an agent or broker. We focus on making the sale of your inherited house smooth, simple, and fast for you so you can get back to your life. To learn more about TMC Property Solutions and what others say about our services please view our Fort Worth BBB reviews here. Give us a call TODAY! Please Google TMC Property Solutions to see what others say about us and then give us a call to sell your inherited house fast. You may also be interested in viewing some of our additional YouTube videos, covering a range of topics on how we can help you with the sale of inherited property in Fort Worth Texas or the surrounding areas. You may also learn more by calling our 24/7 free recorded info line at (817) 550-5069 Opt# 3 NOW! Together, We Can Create Your Solution! © TMC Property Solutions All Rights Reserved.